As Balance your number 1 job is ranged damage, and you do a fine job of that. This page focuses on just that, DPS in a raiding environment. 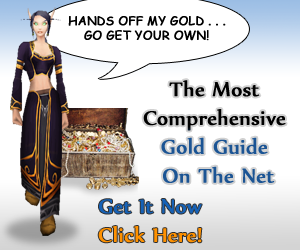 If you’re looking for PvP or leveling info then see the links just below. For Warlords there were a lot of balance changes, way too many to summarize here. See them all in our Druid Changes post. This Balance Druid guide is primarily intended for maximizing PvE and Raid damage (DPS) at level 90. However, the same principals will still apply during the leveling process. If you’re looking for advice on leveling your Druid, check out our Druid Leveling Guide. If you like you can see all the patch 5.4 Druid changes and the earier patch 5.2 & 5.3 updates for Druids are here. The notes below are updated appropriately for 5.4. Our talent picks are checked, , and they assume that you are aiming for damage and not trying to add (much) to the group heals. Fortunately, talents are easily changed. Open the pane up, click the new one, spend a tome, click “learn” and you’re set. Tier 1 has 3 mobility options, all useful in particular cases. Feline Swiftness offers us an ever useful speed increase, You don’t have to click it, you just have it. It’s the most generally useful of the talents in this tier. Displacer Beast is useful if you need something akin to a Blink+Sprint. There may be times when you will want this, bot the others are going to be much more useful overall. Wild Charge lets us leap back a decent distance, invariably helpful for avoiding various boss mechanics/abilities or just showing off. Much like the Hunter’s Disengage, it gets you out, right now. It does not stop you from jumping off a cliff, so be aware of surroundings. Both Feline Swiftness and Wild Charge are perfectly acceptable choices, Displacer Beast is more for PvP. Pick whichever best suits the encounter you’re facing. Tier 2 has us choose between three talents focused on healing, something I try to avoid as a Boomkin. 5.4 change: Nature’s Swiftness, the old pick in this tier, is now one of your baseline (level 30) abilities, Resto also gets it. Ysera’s Gift is a constant heal and will be a big survival aid. Renewal might be better for isolated damage spikes, but Gift will be better for most all other situations and it scales with increasing health. Renewal is a good self-heal, but it has a 2 min cooldown and lacks the utility that Nature’s Swiftness offers. Cenarion Ward, like Nature’s Swiftness, lets you help out your teammates with a heal here and there when necessary. Cenarion Ward, unlike Nature’s Swiftness, is terrible. While improved in 5.2 (heals more,) it’s still a poor choice. Faerie Swarm improves upon your Faerie Fire ability, which might be interesting if you actually used it with any frequency. Even in 5.2+, where it can snare more than one target, it’s not great. Typhoon knocks targets back, primarily useful for keeping them out of range of you and of any melee DPS you happen to be competing with on the DPS meters. As none of these talents provides a particularly notable benefit for raiding, take whichever you least mind not using. Soul of the Forest grants us a consistent bonus to our Solar and Lunar energy generation, making it easier to bounce from one eclipse to another. In 5.4 your Wrath, Starfire, and Starsurge casts have a 8% chance to cause Astral Communion to grant 100 Lunar Power or Solar Power instead of activating the next Eclipse. Incarnation is a DPS cooldown only effective if used while in an Eclipse state. This is the best overall DPS choice is my recommended choice although Soul of the Forest is also quite good. Force of Nature summons a treant, letting you re-enact Lord of the Rings. Best used in combination with the new talent swapping system to switch to something more useful before the fight actually starts. Buffed in 5.2 and changed to one treat in 5.3 (no 5.4 changes,) so might actually be worth experimenting with. Disorienting Roar isn’t worth taking most of the time given the limited range it has. Ursol’s Vortex is useful for controlling targets and my recommended choice as it can be conjured at a distance. Mighty Bash stuns a target, which is good, but requires you be in melee range, which is bad. Heart of the Wild – For most situations this is the best pick, since it’s a nice Int boost at all times. Overall it’s a bigger DPS add than the others and can be used for emergency heals. The 6 min CD makes Nature’s Vigil (90 second CD) worth considering. Dream of Cenarius – You’re not a primary healer, and probably not a secondary one, so this talent has less value. If you are acting in some healing role, then in 5.4: it increases the amount healed by Healing Touch by 20%. Casting Healing Touch increases the damage bonus of your next Eclipse by 25%. Nature’s Vigil – Buffed in 5.4, NV now Increases overall damage & Healing by a bit (12%, up from 10%.) Your single target damage will add some healing to your allies. Damage buff and the cooldown were both cut in half in 5.2, so the CD is now 90 seconds compared to Heart of the Wild‘s 6 minutes. If you’re good at managing your cooldowns then this will be a good pick. These are taken with the idea that your main purpose is damage, not healing. None are required. Use them depending on your needs of the situation. As with the Talents, your glyphs can be changed anytime, with one Tome of the Clear Mind per glyph. Glyph of Stampeding Roar is a useful bonus to the Stampeding Roar ability, beneficial on a raid level and best paired with Glyph of Stampede. Especially useful when quick movement is necessary. Glyph of Stampede makes Stampeding Roar useable in all forms. Glyph of the Moonbeast allows the use of Rebirth, Tranquility, Healing Touch and Rejuvenation without leaving Moonkin Form. Glyph of Rebirth – Bring players back at 100%, rather than 60%. Save a bit of healer mana. Glyph of Omens – Various abilities can grant Solar or Lunar energy. Minors are generally cosmetic, but a couple have some minor utility. Glyph of Grace – Reduces falling damage in any form. Glyph of the Stag – Take a buddy with you. Glyph of Aquatic Form – Faster swim speed. Int no longer adds to crit, but you do start with a base 5% which you did not have before. Int is your #1 stat and it applies to your damage and a bit of Crit. It does not add to your manapool. Int is much better than any other stat. Spellpower is only available on certain items, but is close to Int in value. Haste speeds up your stuff and has great value when you can hit a breakpoint, such as when you get an extra tick off a heal or DoT spell. It’s much less useful if you’re not at a breakpoint. Go here if you want to work towards those breakpoints, otherwise just reforge to Hit, Spirit, or Crit. Mastery and excess Haste are pretty weak. Balance druids manage a ‘Balance’ power resource as part of maximizing their DPS. Depending on which spell you use your bar will charge towards one of two potential Eclipse effects, Lunar and Solar. Combined with the neutral state, this makes for three potential effects your Balance power can have on your spell casting. Wrath causes your bar to charge towards a Lunar Eclipse while Starfire generates Solar Energy. Starsurge will cause your bar to move in whichever direction it is already moving. Prior to a fight you can use Astral Communion to determine which Eclipse state you wish to start the battle in as it allows you to charge your Balance bar. When in the neutral state you can use either Starfire or Wrath to determine which Eclipse state you will begin moving towards. Entering an Eclipse state grants you a 15% spell haste for 15 seconds as well as restores 35% of your maximum mana. The Eclipse state will end when your bar returns to the center, allowing you to begin charging your bar once more towards another Eclipse. Your first priority is applying Moonfire and Sunfire to your target. It’s important to note that the duration of Moonfire is extended by 2 seconds every time you critically strike with Starfire while Sunfire‘s duration is extended by 2 seconds when you critically hit with Wrath. Starsurge critical strikes will extend the duration of both Moonfire and Sunfire by 2 seconds. When entering an Eclipse state re-apply whichever DoT will benefit from the Eclipse effect. The DoT not benefiting from your current Eclipse should only be refreshed when it’s about to expire. Since your DoTs also benefit from other buffs, remember to also re-apply them when benefiting from other damage or haste increasing effects such as Celestial Alignment. Celestial Alignment should be used as often as possible throughout a fight. Celestial Alignment grants you the effects of both the Lunar and Solar Eclipse simultaneously, increasing the damage done by your Arcane and Nature spells by 35%. While Celestial Alignment is active applying Moonfire to a target will also apply the damage effect of Sunfire. Activating Celestial Alignment consumes all Solar and Lunar energy and prevents the generation of either for the duration of the effect. Starsurge should be used on cooldown, as should be Starfall. Starfall‘s cooldown will be reset every time you enter a Lunar Eclipse. Using Wrath to trigger Lunar Eclipse and Starfire to trigger Solar Eclipse you will effectively be yo-yoing your Power Bar to obtain maximum DPS. In AoE encounters it’s important to use Wild Mushroom as often as possible, planting the maximum possible of three mushrooms and then detonating them. You should still maintain your DoT’s, this time on all enemies. Depending on which Eclipse state you’re in, use either Moonfire or Sunfire repeatedly while also refreshing the other DoT on targets when necessary. Starfall should still be used whenever possible. The only relevant talented ability is Incarnation: Chosen of Elune. This ability, like Celestial Alignment, should be used as often as possible, however Incarnation only benefits you while in an Eclipse state or while Celestial Alignment is active, therefore it shouldn’t be used carelessly. As Incarnation has a longer duration than both a single Eclipse state and Celestial Alignment, it’s advised that you chain the two together by triggering Incarnation as you enter an Eclipse state and then activate Celestial Alignment the instant you exist the Eclipse state to obtain the maximum benefit from Incarnation’s effect. We’re showing both the Warlords and the earlier gems. For gear under item level 600. For Balance Druids your stats are closer in value to each other than they are in some other classes. While Int is the best stat it isn’t best by a big margin. This means that you will want to match socket bonuses. If the socket bonus is for Int or Mastery, then matching is definitely recommended. Meta: Either gem, depending on your mana needs. Blue: Either a Blue or Purple gem, depending on your Spirit needs. Gems sockets are actually few and far between, they are all prismatic, and there are no meta sockets or socket bonuses. Warlords Gemming: Mastery in all sockets (Greater Mastery Taladite.) Note that the lesser gem (Mastery Taladite) is going to be vastly less expensive than the better one. Under item level 600: As much as possible you will be enchanting for Int, then Spirit (depending on your mana use) and Crit. Short on gold? If you want to buy the best enchants, fund all of your alts, donate to the guild, etc., but don’t have the cash, then see what that Blood Elf, just above, can do about about fixing your cash flow. Warlords Notes: There are no head enchants, all shoulder enchants come from the Inscription profession and are only for items under items level 600. There are new enchants for Neck, Cloak, Weapons, and your Rings. Not for any other pieces. (Not yet, anyway.) The only enchant with Spirit is a weapon enchant. The lesser version of any of the Warlords enchants is far cheaper than the better one. Before Cataclysm the choice of race for a Druid was a “difficult” one: Tauren or Night Elf? Now, there are four races. Cataclysm allowed the Worgen and Trolls to become Druids. Mists of Pandaria will make no changes to races or racial abilities and there will be no Pandaren Druids. Increased health (about 5%,) doesn’t seem to scale well at very high levels, but is still a plus. Figure it’s worth about three Stamina gems at level 90. Increased crit chance is nice, since Crit is a decent stat for you. Ranged weapon Expertise is a useless ability since you don’t use ranged weapons. Reduced duration of movement impariing effects, useful for most, but your shapeshift is a far superior “break free” ability. Shadowmeld has situational use. You fade away, dropping aggro, but must remain stationary. Nice for those times when you need to drop aggro, right now. 2% dodge is a nice ability for bear tanks and cats, you have little use for it. Faster movement while stealthed is nice when prowling, but you waddle and don’t prowl. All of the professions provide some benefit for any class/spec, though clearly some are better than others. Even the gathering professions have some value, especially Herballism with its 2,880 Haste, but you might be better served by using those to build a larger gold stash. Most of the professions add an average of about 320 Int or so. Since gems with secondary stats are twice the value of those with primary stats (320 Crit Vs 160 Int, for example) Blacksmithing (640 total stat bonus) might be the most valuable profession if you’re just looking for the buffs. Jewelcrafting provides only 320 in any stat over non JC gems. Tailoring Cloak enchant sometimes adds 2k Int for 15 seconds. Make your own epic gear. Leatherworking Bracer enchant adds 500 int., but this profession has little other value to you. Enchanting Enchant both rings, for a total 320 Int gain. Inscription Shoulder enchant adds 520 Int and 100 crit, can also make some nice staves. Alchemy More effect from your own potions. Adds 320 Int and an extra hour to your main flask. Engineering has lots of interesting toys, some of which have situational use, and Synapse Springs, which increases Int by 1940 for a short time. If you take this use a macro to activate it along with other short term buffs. Blacksmithing gives two extra gems slots. Since gems with secondary stats have twice the value of gems with primary stats Blacksmithing might be a very valuable profession. For example, you’ll be able to socket he two gems for 640 Crit or Haste instead of 320 Int. Herbalism Small heal and 2880 Haste for 20 seconds. Also can find life and mana spirits, which are rather nice. All food buffs last one hour. Alchemists get about 30% more effect and an extra hour from Flasks and Elixirs. As Balance your flask will be better than any of the elixirs. Flask of the Warm Sun: 1,000 Int for an hour. Flask of Falling Leaves: 1,000 Spirit for an hour. Only if you have mana problems. Potion of the Jade Serpent: 4k Int for 25 seconds. If you pop one immediately before combat you will be able to pop another during combat. Druid leveling is pretty easy, especially if you go Feral (though Balance isn’t bad.) The only problem is the time involved and then you have those other alts you want to level though those 90 levels. 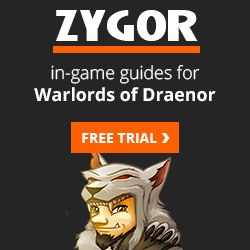 With the thousands of quests to 90 and a bazillion mobs to kill (not to mention other players, but they don’t count here) sorting out which quests are best and which series of quests will get you to 90 the fastest is important, which is why we highly recommend Zygor’s Guide. Playing with Heirlooms and/or Recruit a friend? Gaining a few levels in the dungeons or in PvP? Zygor’s has your back. The guide knows what level you are and will correctly suggest where to go next and will let you dump all of your obsolete quests. You will probably never need to look at your quest log again.